My mom is a neat freak, and I love her. I am not, and when I was in high school I hated that she could see the mess in my room from hers. I was constantly reminded that I needed to clean up, or she would say, “Seriously, your room is this messy. Why are there clothes on the floor? !” My younger sister who is now in high school is no better at keeping her room neat as a pin. She, luckily, lives on the lower level of my parents’ house, so my mom doesn’t have to see her room every day. I tell my kids at the beginning of the year that organization is a 1/3 of what it takes to be successful in the 4th grade, but who has found an extremely organized 10 year old? Especially when your ten year old has an IEP for ADHD among other things. As educators it is our job to reach every student no matter if he or she wears glasses, is on a 1st grade reading level, LD, or ADD. I myself didn’t get organized until college, and I have a tendency to have attention issues. I still have to make myself move from one section of my classroom to the next when setting up each year, or I will just turn circles in the middle of my room, not getting much accomplished. Checklists are also vital for me to be successful in getting done with all of my tasks within a given day. 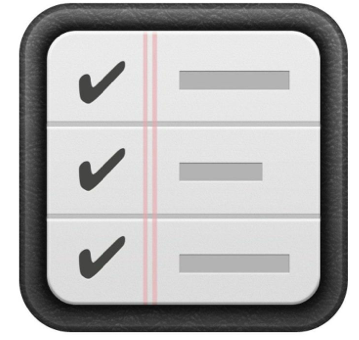 What if checklists worked for our students? This is exactly what an IEP stated for student X. Student X has ADHD and needs guidance to stay on task and complete his work. Being a professional, when asked to add creating a daily check list for student X I smiled and thought, “I get to add another thing to MY to do list for the morning. Hooray!” I was extremely frustrated when by 8:50 student X’s checklist was on the ground somewhere below his desk. He wouldn’t look at it for the remainder of the day. It was not working. Period. 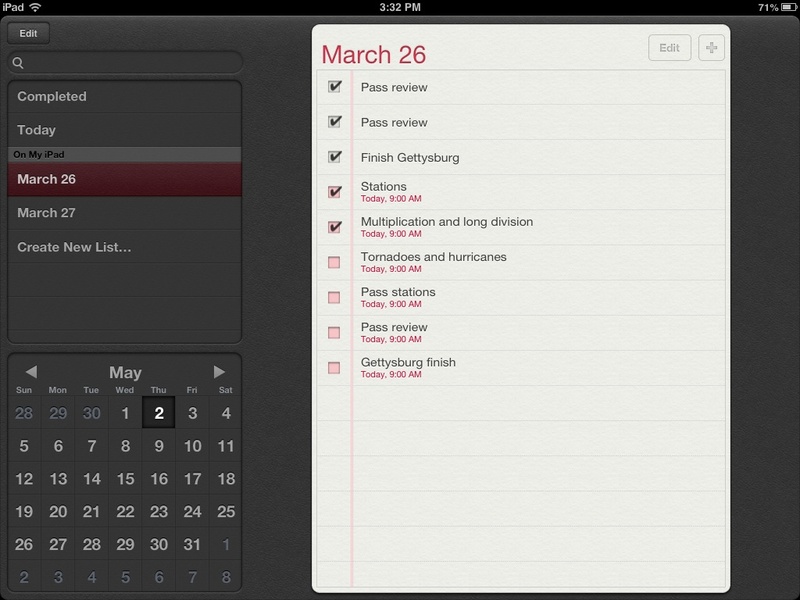 That is when I had the idea to put his checklist on the IPad. He is obsessed with his IPad so maybe he would actually check things off. Over the past two weeks this strategy has really paid off. He is turning in work, and checking tasks off of his personal to do list! I am excited to try this on all of my students that have missing work they have yet to turn in. This app is really simple to use. You simple add different tasks by touching the + button. The student then checks off any task he or she has completed. This is just one more easy way to personalize learning and make students accountable for their own work and responsibilities. And come on…. where would I be without my constant checklists?! Feel free to share or like this post. Email me at billieblalock@gmail.com for suggestions or questions.